Twine your way through the night.. 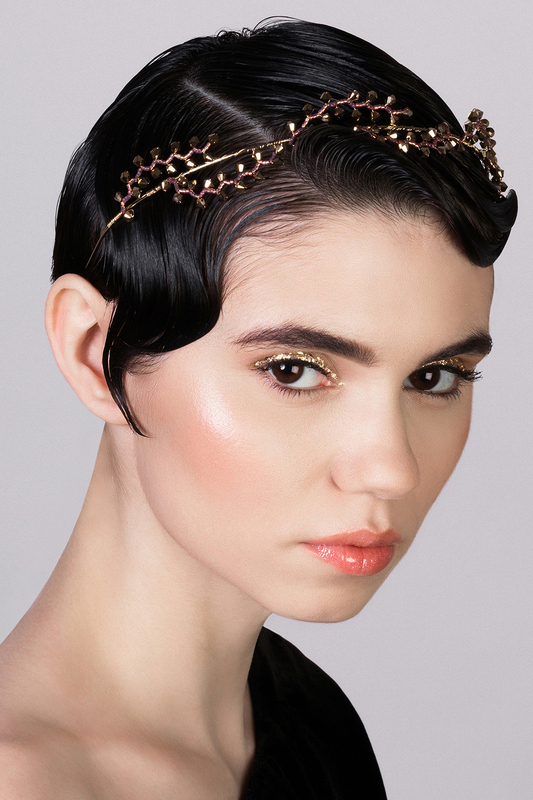 This headpiece is one of the Collection’s favorite because if it’s beautiful simplicity and intense gold tone sparkle. Swarovski crystal and Miyuki glass beads details are adorned to a gold tone headband. I’s a perfect match for any hairstyle you choose. Various colors available so let us know if you would like other preferred color.